EstateGuru has a growing community of Lithuanian investors who now have the opportunity to invest into loans closer to them. 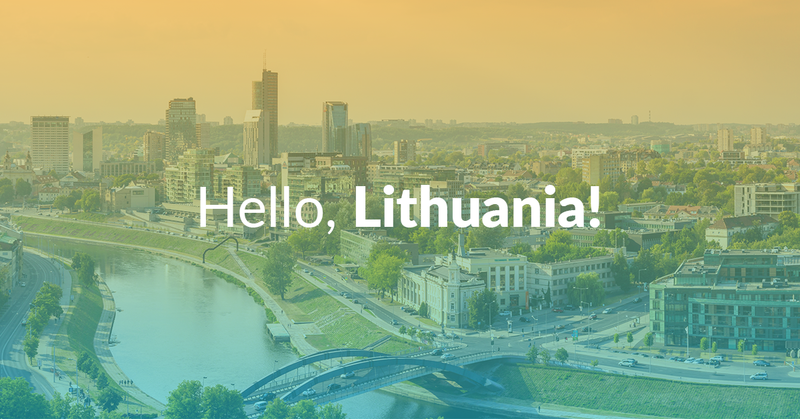 The burgeoning Lithuanian real estate market is stable and mature – with P2P lending a popular option for both investors and borrowers. With businesses already familiar with the concept of P2P lending and have been utilising this option for some time, this represents a ripe opportunity for EstateGuru to join. Our Lithuanian property portfolio represents a new attitude on our part. Yes, we have always delivered innovative lending via the latest technologies and written resources, and will continue to do so; but now we are the only peer-to-peer lending platform in the world to provide property-backed loans in 3 countries. Today our investors can diversify their portfolio across these countries through our pioneering platform; being presented with newer investment opportunities to increase their returns. Furthermore, with EstateGuru’s innovative Auto Invest feature our investors can automatically invest in a timely manner and not miss out on golden investment opportunities due to increasing competition. Simply put, Auto Invest empowers investors to automatically invest their chosen sum into available loans. Why invest across multiple countries? Investors can potentially reduce portfolio risk by diversifying their investments across various markets. With each markets cycles and events, investing across them can weather fluctuations ensuring that investors receive stability of returns. Whilst international investing has a higher stand-alone risk, the power of diversification across various portfolios can potentially lower your overall portfolio risk. Put simply, by investing abroad you gain exposure to borrowers and properties based in other countries—with potentially unique circumstances—that not only mitigate downturns but increase your investment returns. Yet with EstateGuru, no deduction has been made for the underwriting process in any market. Every loan request has been examined and assessed by our team of property specialists valuing the relevant risk and ensuring that collateral as well as the business plan is solid. So what are you waiting for? Get started today by clicking here.